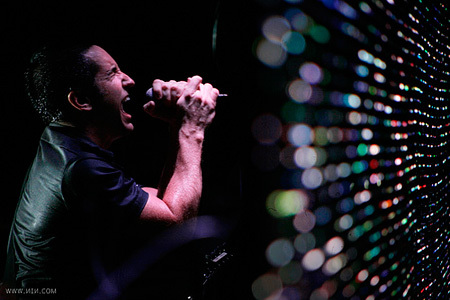 The NIN Live Archives are a comprehensive collection of live recordings recorded over the last 20 years by NIN fans worldwide. The archives are organized by year; each year's page contains the tours for that year and the dates for each tour. A clickable tour date indicates that RITC has a recording for that show available for download. If dates aren't clickable it's because either the source hasn't been added to our database yet, no recordings are currently available or we're in the process of organizing. All downloads are free and we encourage you to share them with the NIN community. We are always on the lookout for more performances. If you have a show that's not on our site, please submit it! RITC may be contacted at ryanj@reflectinginthechrome.com and found on Twitter. Taper/Name: Who recorded the show? Provide your real name or a username, whichever you prefer. Time: Number of minutes in the recording. Please note whether the performance is complete or incomplete. Comments: Any additional pertinent information about the source, such as if there's phasing or people clapping and yelling nearby. We strive to be as accurate as possible with the archives; corrections and feedback are always welcome.